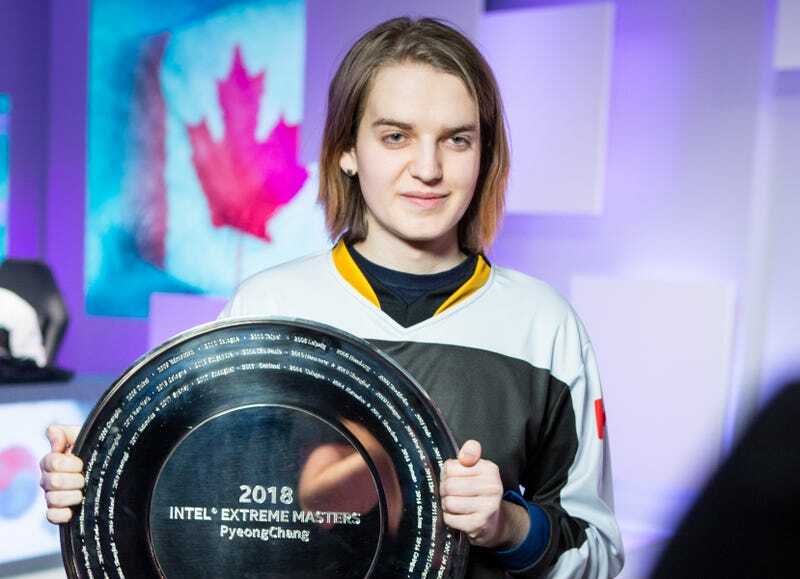 Sasha “Scarlett” Hostyn made history for both women and non-Korean StarCraft pros last night by placing first in a premier tournament, IEM Pyeongchang 2018. The Canadian defeated two-time world champion Kim “sOs” Yoo Jin playing as the Zerg, her old standby, in a 4-1 victory. She’s the second North American pro to ever place first at a major StarCraft II tournament in South Korea. The win signals a new era for Scarlett, who briefly stepped away from pro StarCraft in 2015. At that time, she noted that her tournament placings “haven’t been great” and that she’d “thought about quitting for awhile now.” After her break in 2015, she returned to the game with renewed vigor, placing first in three major tournaments in 2016 and 2017. StarCraft II does depict war and death, with humans fighting aliens in a futuristic science fiction setting. However, the game’s player base does feel like a win for “non-discrimination,” given the cultural diversity of pros who competed in Pyeongchang: the top four finishers were from Canada, South Korea, Poland, and Mexico. The game has long had a foothold among South Korean esports pros, but clearly, the rest of the world has begun to catch up. One other significant difference between StarCraft II and most other Olympic sports would be the lack of gender division. By placing first in an elite tournament, Scarlett has showed the IOC that including esports should mean hosting a mixed-gender medal event. The Olympics has had other mixed-gender events, such as equestrian competitions, and has been doing away with gender splits in sports where that doesn’t make sense, like curling and shooting. The IOC has always wanted events to be truly international, and now it’s moving toward mixed-gender events. Scarlett’s historic win shows that StarCraft can be both.